Home / Blog / Ditch the plastic bags, use fabric shopping bag! Ditch the plastic bags, use fabric shopping bag! Each of us can make a huge difference in how we impact the environment around us. An environmentally friendly lifestyle begins with quite simple steps. For example, change your habit – instead of grabing a new plastic bag every time you go shopping, use a reusable bag instead! A plastic bag can take from 10 to 1000 years to break down, depending on environment. Moreover, cost to recycle plastic bags outweighs their value. This results in huge pile of garbage! 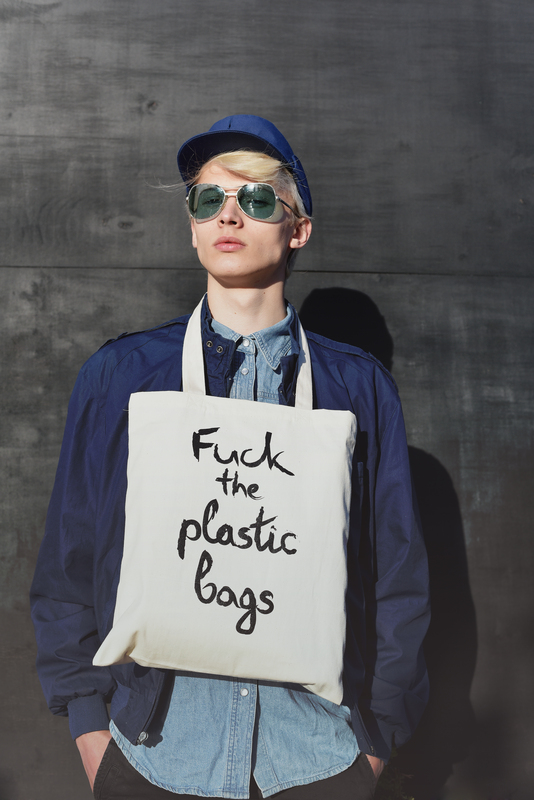 Think about it – every plastic bag you ever used is probably still lying around somewhere on this planet. To reduce the impact of plastic bags to environment you should switch to reusable bags! Veganshop’s recommendation for this would be raw cotton shopping bag. Plastic has toxic pollutants that damage the environment and cause land, water, and air pollution. It takes a long time until plastic breaks down, so the damage to the environment is long-lasting. A few dollars for reusable bags that last for years, or 20 cents for plastic bags each time you shop? You do the math! A lot of oil and natural gas go into the production of plastic bags, which are not recyclable. Choosing reusable bags saves on these non-renewable resources! Also – cotton is renewable resource! Around 100 000 marine animals perish every single year because of plastic bags. Most impacted are water birds and sea turtles, who often mistake them for food and get tangled up. Cotton shopping bag is incredibly durable. You can probably use it to carry your groceries for years before needing a replacement! Cotton shopping bag has a better load capacity! You don’t have to be afraid that your bag rips and items fall out on the sidewalk. BONUS! 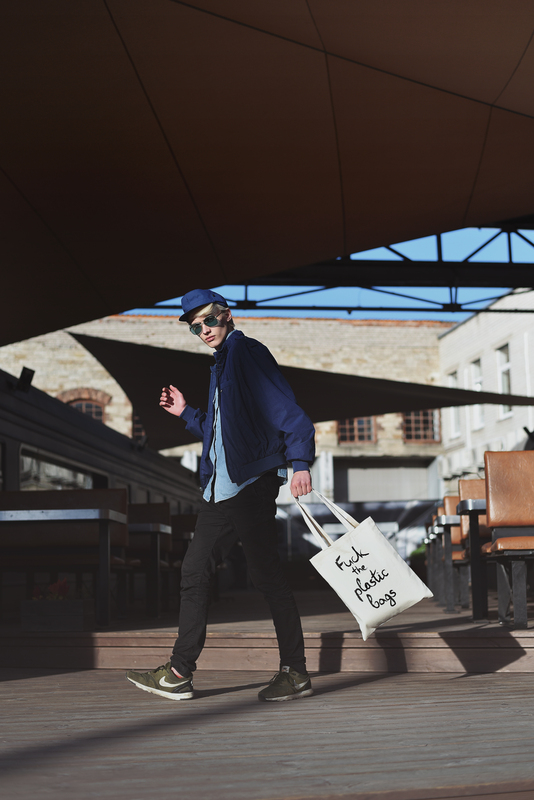 If you use Veganshop’s Zik-Zak raw cotton shopping bag, there will be one additional advantage, which is – eye-catching! 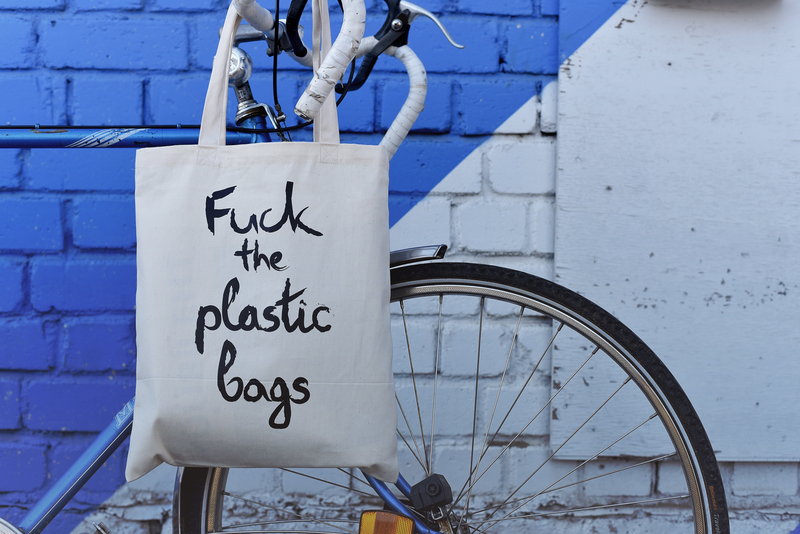 It’s worth it to create the habit of using a cotton shopping bag. If you avoid buying a plastic bag every time you shop and use your own fabric bag, your behavior is absolutely environmentally friendly!